This field guide to 100 Birds of Heron’s Head is an introduction to birding along San Francisco’s southern bay waterfront, stretching from Islais Creek and India Basin down to Candlestick Point at the southeast tip of the city—and focused on a remarkable tract of wetlands known as Heron’s Head Park. A reader-friendly guide on how to create wildlife habitat gardens to attract birds, butterflies and other beneficial insects. It is written specifically for San Francisco Bay Area gardeners. Color photos of food and nectar plants for each category. Includes resources for local native plant nurseries, public gardens for inspiration, Internet resources, books and guides. Focus on native plants and environmentally-friendly gardening techniques. Here is the definitive botanical guide to the wetlands, woodlands, coastlines, hills, and valleys of the San Francisco Bay Region, extensively revised and redesigned edition. Easy-to-use keys describe more than two thousand species of wildflowers, trees, shrubs, weeds, and ferns. 457 color photographs and 227 line drawings. Plants are identified by both common and scientific names. The inspiring story of how the author found his life's work--and true love--as caretaker to a flock of wild parrots roosting in one of America's most picturesque urban settings. A guide to creating natural garden designs, with pictures and text revealing planning, installation and planting tips. There are 25 step-by-step projects with instructions, and a comprehensive encyclopedia of the 100 most popular native and look-alike plants. The book is organized by the trails in the garden, moving from the entrances through three walks to the Collections Trail. There is also a history of the arboretum and Golden Gate Park. Each section of the book gives details about wonderful places as the “Southeast Asian Cloud Forest”, “Chile and South America” and many others. Northern California Gardening is a comprehensive, illustrated guide for both novice and expert gardeners. San Francisco Chronicle garden columnist Katherine Grace Endicott maps out the rewards of reaping what you sow from flowers and fruits to herbs and vegetables. There is a completely new and updated source list. Local master gardeners lend their expertise on everything from propagating plants to dealing with snails, slugs, and slime to having a successful rose garden in a coastal climate. Bay Area Gardening provides comprehensive answers in sixty-four diverse essays on landscaping, garden design, pests, chemicals, and a multitude of topics endemic to the trials and tribulations of Bay Area home gardeners. This guide identifies the birds most likely to be seen in your city's backyards, streets and parks. The book introduces the fascinating and popular pastime of bird watching and includes advice on building feeders and birdhouses. An introduction to the many factors which contribute to the unique weather of the San Francisco Bay region. This is a one of a kind guide book to thirty of San Francisco's community gardens. The gardens are situated over looking freeways, in downtown areas, in out of the way corners and busy neighborhoods. The core of the book is a catalog of more than 650 plants suited to regions with mild, usually wet winters and dry, often hot summers. These plants thrive with moderate to no summer irrigation when established, require little or no maintenance, and are reasonably available from nurseries, botanic gardens, native plant sales, or specialty seed suppliers. This guidebook, with its easy-to-use keys, informative species accounts, and copious illustrations, is the perfect guide to California's native and naturalized trees. Species descriptions give fascinating and little-known facts about each tree and suggest locales to visit for viewing them. 250 color photographs illustrate traits essential for identification and show surrounding habitats for many species. Covers all nine counties of the San Francisco Bay Region and includes trees found in adjacent Monterey and Mendocino counties. This book, written for the non-geologist, takes the reader on seven geologic trips to many of the Bay Area’s scenic landmarks, including Alcatraz Island, Fort Point, the Cliff House, the Marin Headlands, Angel Island, Fort Funston, Crystal Springs Reservoir, and the Point Reyes Peninsula. 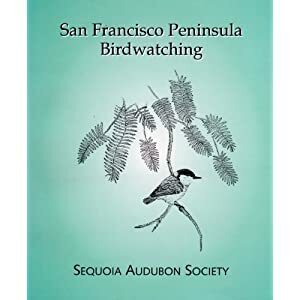 This is the first book to comprehensively describe the life history, status, and distribution of all the birds that occur in the Bay Area from Sonoma County to Monterey Bay. This book is jam-packed with detailed information not found in any other guide. This book offers a historical overview of Muir Woods, its history, description of the coast redwood tree and its foliage and cones, and a “walking tour” of the Woods, along with photographs. Beautifully illustrated with line drawings, location maps, and color plates, The Trees of Golden Gate Park and San Francisco contains detailed descriptions of over 120 trees, complete with close-ups of their leaves, branches, flowers, and seeds. Based on the articles by botanist Elizabeth McClintock, first presented over a 23-year period in Pacific Horticulture, these descriptions are accompanied by lively and engaging anecdotes, quotes, and observations. This complete primer on San Francisco Bay is a multifaceted exploration of an extraordinary, and remarkably resilient, body of water. Bustling with oil tankers, laced with pollutants, and crowded with forty-six cities, the bay is still home to healthy eelgrass beds, young Dungeness crabs and sharks, and millions of water birds. Natural History of San Francisco Bay delves into an array of topics including fish and wildlife, ocean and climate cycles, endangered and invasive species, and the path from industrialization to environmental restoration. Fully illustrated, the guide also tells how San Francisco Bay sparked an environmental movement that now reaches across the country. A photographic guide to wildflowers of four of the west coast's most beautiful counties: Marin, Sonoma, Napa, and Mendocino; includes 542 full color images of the native plants of this area. Discover 358 species, 83 plant families, of wildflowers. Easy to use: grouped by color, close up photos for identification. Learn bloom times, habitats, garden tips, native uses, natural history, 33 wildflower hot spots with maps. The bible of vegetable gardening in the San Francisco Bay Area is packed with more than 400 pages of reliable information, Golden Gate Gardening offers encyclopedic coverage of gardening principles and practices specific to the Bay Area and the Northern California coast. Author Pam Peirce explains strategies for growing common favorite vegetables and herbs, plus unusual ones that bring variety to the garden. A collection of 172 color photographs covering coastline, redwood forests, wildflower meadows, river deltas, wetlands, animals, and mountain ridges document some of the parks and preserves of the area. Brief captions identify each photo's content; notes on the taking of each photo are at the back. Treasures of the Conservatory of Flowers is a breathtaking companion to this national, state, and city landmark. First built in 1887, it is the oldest surviving municipal wood and glass greenhouse in the United States. Like the building itself, Treasures of the Conservatory of Flowers is divided into four parts—lowland tropics, highland tropics, aquatic plants, potted plants—an elegant book that engulfs readers in its lush tropical worlds. A guide to both well-known and little known bird watching sites on the San Francisco Peninsula, from San Francisco to the southern end of San Mateo County. Twenty-five areas are covered, ranging from the coastal marches to bay shoreline, from the Redwood forests to the grasslands. Inside are detailed descriptions of each area and what birds you can expect to find there at any time of the year. This guide, written for both beginning and experienced butterfly watchers, provides information on all of the butterfly species found in this diverse and accessible region. Species accounts include information on identifying butterflies through behavior, markings, and host plants. Beautiful full-color plates illustrate top and bottom views of wings for easier identification. This book features about 300 kinds of spring wildflowers. This is an introduction for the general reader to the geology of the San Francisco Bay Area, including plate tectonics, Bay Area's fault system, erosion, and human activity. The Trees of San Francisco offers a striking and handy compendium of botanical information, historical tidbits, cultivation hints, and more. The author discusses 71 city trees; each one is illustrated with a photograph--with its common and scientific names prominently displayed--and its specific location within San Francisco. The second part of the book gets the reader up and about, walking the city to see its trees. This is a guidebook that features the earth of San Francisco: the city’s rocky hills, precipitous cliffs, mountains (seen to the north, east and south of the city), and the rocks. The author uses San Francisco’s extensive public transportation system to assist the reader in traveling throughout the city to experience its geological wonders. In The Landscaping Revolution, award-winning gardening experts deliver a call to arms for gardeners searching for a better way to plant and maintain their gardens. The Wasowski landscaping approach for gardeners of any climate is environmentally friendly and promotes the use of native plants, natural alternatives to man-made chemicals, and easy-to-maintain landscape designs.